The Romans were skilled locksmiths and invented finger rings in the form of keys. They seem to have been used across the Roman Empire. They are usually made of bronze or iron and the different shapes of the wards suggest that they were intended for use as keys rather than being merely decorative. Key rings may have been used because Roman clothing does not generally have pockets or perhaps for the added security of always having the key on your person. The key rings opened small boxes or caskets of personal possessions such as jewellery boxes rather than doors or cupboards. It is possible that they were particularly worn by women, perhaps after marriage as a sign of their new status. Keys and locks might also have had an amuletic significance, relating to the power of the key to secure and protect or open and reveal. 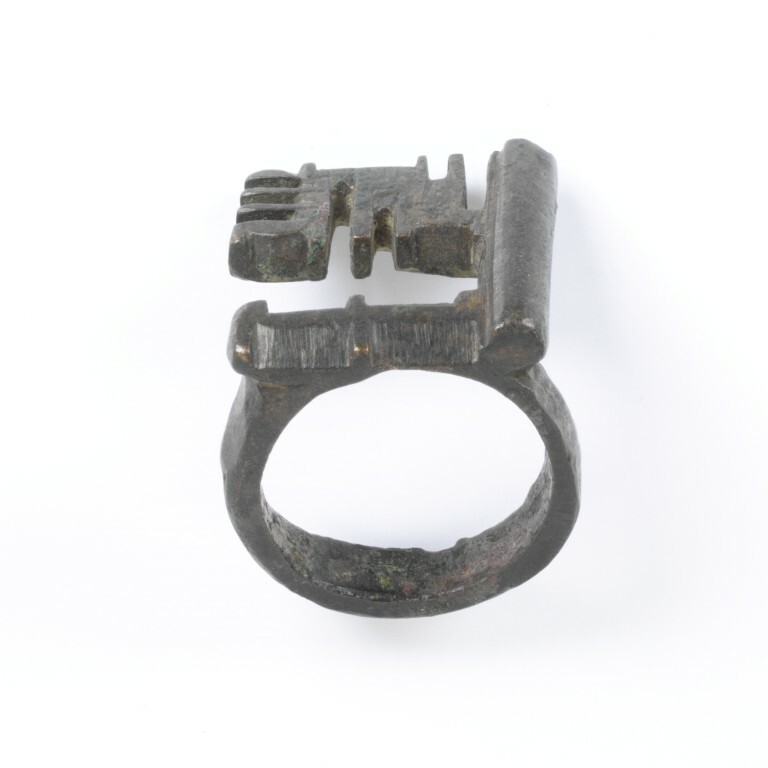 Roman key rings have been found in some numbers in British archaeological sites including London and Colchester. An excavation of a Roman grave in Colchester found a wooden box with copper fittings which had been buried with the key ring in the lock. Similar keys were also found in the city of Pompeii, buried under volcanic ash. This ring forms part of a collection of 760 rings and engraved gems from the collection of Edmund Waterton (1830-87). Waterton was one of the foremost ring collectors of the nineteenth century and was the author of several articles on rings, a book on English devotion to the Virgin Mary and an unfinished catalogue of his collection (the manuscript is now the National Art Library). Waterton was noted for his extravagance and financial troubles caused him to place his collection in pawn with the London jeweller Robert Phillips. When he was unable to repay the loan, Phillips offered to sell the collection to the Museum and it was acquired in 1871. A small group of rings which Waterton had held back were acquired in 1899. 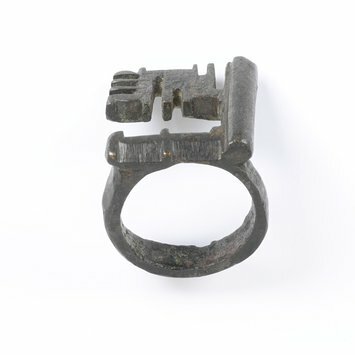 Bronze ring, the bezel in the form of a key.